After creating a job position you can list all the candidates who have applied for the job position via “Recruitment”=>”Candidates” module. It should list all the candidates who have applied for your jobs. 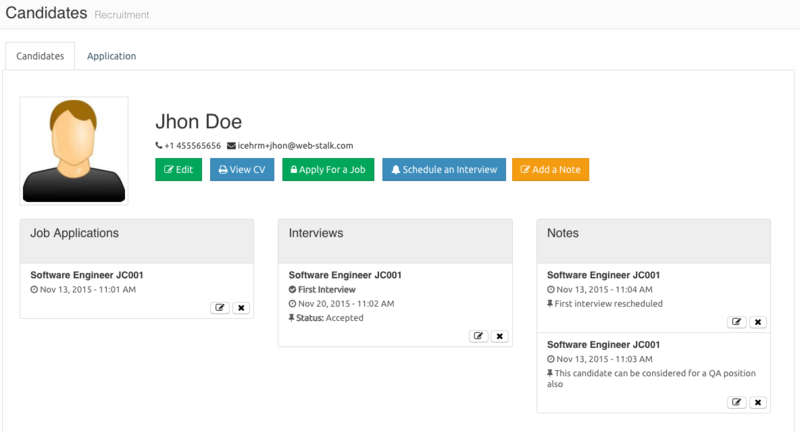 Here you can schedule interviews and add notes related to the candidate. Notes could be a details about a telephone conversation or candidates expectations.